Past tense definition: The past tense is an English tense that expresses a form a verb for events that have occurred. What is Past Tense in English? What does past tense mean? The past tense of verbs expresses events or actions that already occurred. These actions are finite in that they have both a starting and a stopping point. More on each of these forms below. What is a past tense verb? Here are the four past tenses in English. We have definitions and examples of each so you can learn past tense. What is the Simple Past Tense? What does simple past mean? The simple past tense is used for actions that started and ended at a specific point in time. It is formed by adding “-ed” to the infinitive form of the verb. For most verbs in English, you simply add “-ed” to the end of a verb to form the past tense. Example: I mailed the letter yesterday. Example: You asked me to finish the chores. A verb with a silent “e” at the end just requires a “-d” to create past tense. Irregular verbs take various forms in the past tense. One example follows. 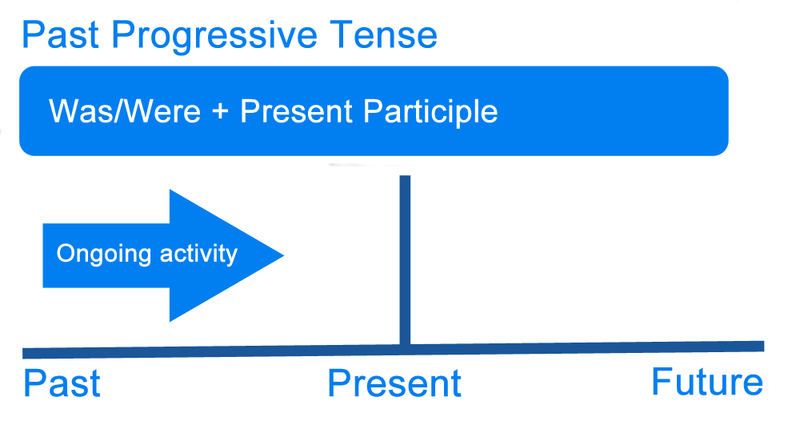 What is the Past Progressive Tense? What does past progressive mean? The past progressive tense expresses events that lasted for a duration of time in the past. I was working when he called. I was listening to music while I was working. What is the Past Perfect Tense? What does past perfect mean? The past perfect tense most often expresses actions in the past that finished before another action (also in the past) started. After he had answered the question, he was able to complete his assignment. If we had asked a question, we would have been able to complete the assignment. The teacher asked if I had completed the assignment. I wish I had completed the assignment. 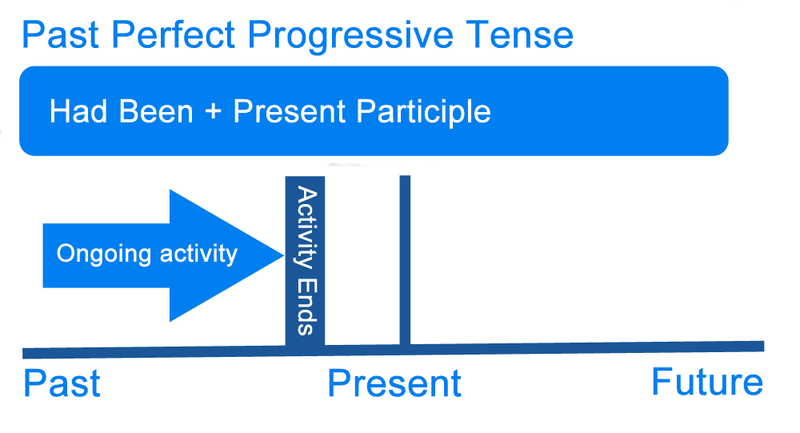 What is the Past Perfect Progressive Tense? What does past perfect progressive mean? The past perfect progressive tense most often expresses actions in the past that were in progress before other actions. The car had been running for ten minutes before we left. We could not play outside because it had been raining. If the sun had been shining, we could have played outside. She said it had been raining. Since the verb to be is an irregular verb, it can be confusing to sort it out through its various tenses. Here is a brief outline. Yes, was is the first person and third person past form of to be. What is the Past Tense of Is? See above. Is is the present tense of to be. The past form is was. What is the Past Tense of Be? See above. The past form of the verb be is was and were. The above examples covered all of the various kinds of past tense verbs. English also has a present tense and a future tense. What does present tense mean? In general, the present tense is used to express facts, habits (habitual actions), beliefs, or general truths. Erik rides his bike every day. Exercising is a benefit to your health. What does future tense mean? The future tense expresses actions that will occur at a future date. Erik will ride his bike on Monday. Exercising will benefit your health. 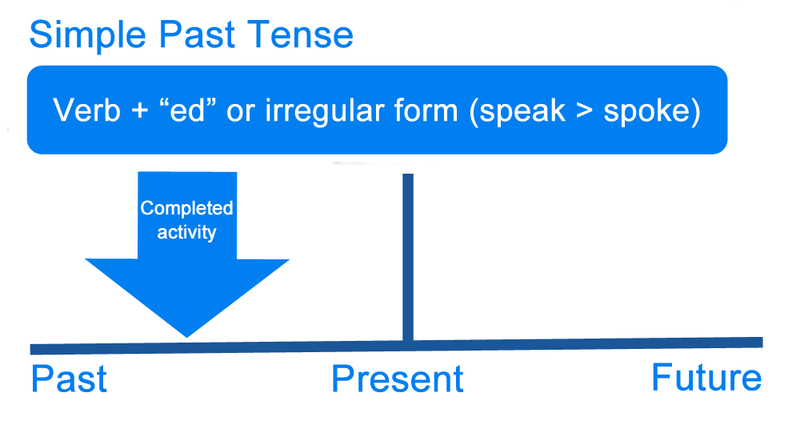 Summary: What is the Past Tense? Define past tense: In grammar, the definition of past tense is a tense that signals an action or event that occurred in the past. 1 What is Past Tense in English? 4 What is the Simple Past Tense? 5 What is the Past Progressive Tense? 6 What is the Past Perfect Tense? 7 What is the Past Perfect Progressive Tense? 10 What is the Present Tense? 11 What is the Future Tense? 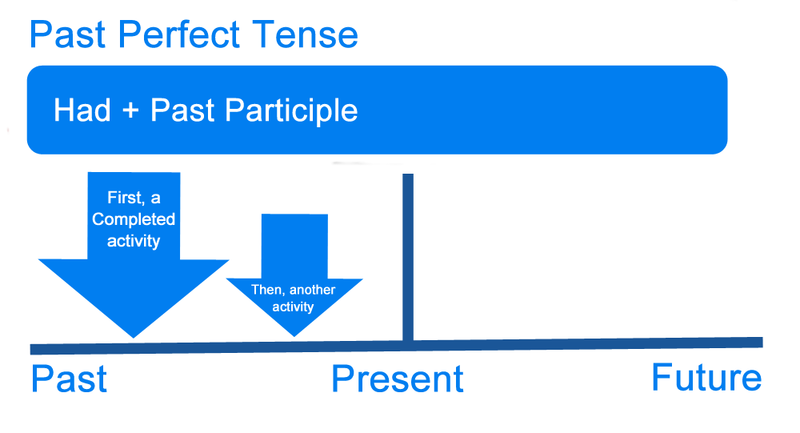 12 Summary: What is the Past Tense?